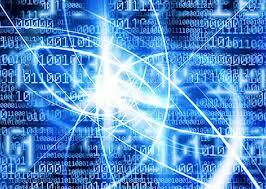 MIT Professor Peter Shor’s algorithm (1994) was carried out using laser pulses and atoms. It used 5 atoms and each of them was able to correctly factor 15. Together these atoms are so designed that they can factor much larger numbers, making it the only system that is capable of scaling Shor’s Algorithm. Isaac Chuang, professor at MIT, says that, “The algorithm is the most complex quantum algorithm known, but it can be upgraded in a laboratory setting”.Chuang had designed a computer in 2001 based on a molecule that could be held manipulated through nuclear magnetic resonance to factor the number 15. Those results were not scalable. Unlike traditional computing, which relies on 0s and 1s to carry out algorithmic instructions, quantum computing relies on qubits, which are atomic-scale units that can be 0 and 1 simultaneously, a state known as "superposition." That allows a supercomputer to carry out two separate lines of instructions at the same time, for example. "We've been hearing about quantum computers for many years and the concerns about how they may be able to break existing encryption schemes," said Steve Pate, chief architect at HyTrust. "3DES -- pronounced trip-DES -- is a mode of the DES encryption algorithm that encrypts data three times. Three 64-bit keys are used, instead of one, for an overall key length of 192 bits. The first encryption is encrypted with a second key, and the resulting cipher text is again encrypted with a third key," Pate explained. "This improves the security of the algorithm and uses a larger key size but makes the overall encryption/decryption time longer," he said.